Love them or hate them, drones are here to stay. They are now a standard part of camera kits for travel vloggers, wedding filmmakers, short film shooters, corporate and TV crews and many more. The new DJI Smart Controller is a new addition to this kit, so let’s find out more about it. The DJI Smart Controller is a brand-new flight controller and monitor from DJI designed to work with their Mavic 2 Pro and Mavic 2 Zoom drones. It’s safe to assume that future compatibility with upcoming DJI drones will follow. DJI is by far the industry leader in the drone market and as an avid user myself, I am always keen to hear their latest developments. 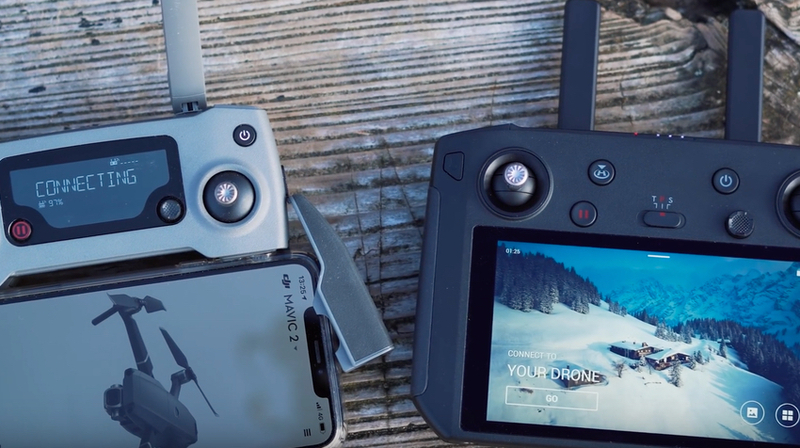 The Smart Controller continues DJI’s trend of bringing all hardware into their own ecosystem, removing the need for a third party smartphone. Tom, from Tom’s Tech Time, goes through some of the main features of the Smart Controller in this video. The DJI Smart Controller should be thought of in two regards – as a controller and as a monitor – so let’s look at each and how they will affect your drone shooting. The controller is well designed and built, as it should be given DJI’s years of experience in the field. All the buttons you expect are there and the flight sticks are responsive. The design is compact and everything folds away and unscrews for easy storage and transport. As everything is now built-in there are no longer any cables, which is great. The battery has a respectable life of around 2 hours. It charges with an included fast charge on USB-C but will be much slower using as regular USB-C charge point. 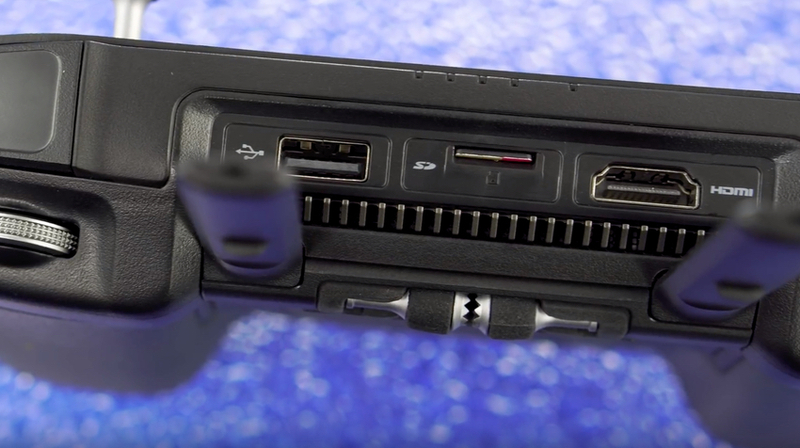 One inclusion that I find very interesting is the HDMI port. 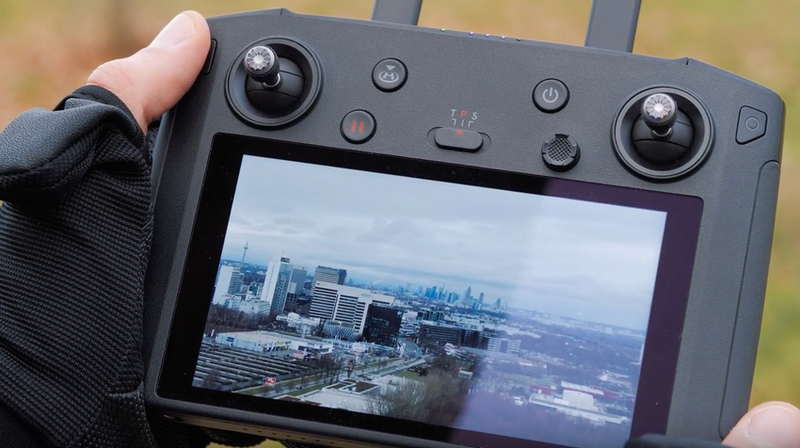 Having worked in live broadcast television for many years, the idea of streaming drone footage via HDMI is both a little scary and very exciting. There is 16GB of built-in storage and a micro SD card slot so you will be able to keep the streamed, lower quality copies of your footage and photos on the controller as you would have previously on your phone. Keep in mind that while the Smart Controller has Bluetooth and Wifi, it doesn’t have a SIM card slot so no internet connection. Footage and photos can easily be transferred to your phone or computer using the DJI Go 4 app, but it is another step to consider. The Smart Controller uses Ocusync 2.0 that works at up to 8km in the USA and 5km in Europe and auto-switches frequencies to maintain a strong connection. Built-in GNSS and satellite-positioning make flying these DJI drones a dream, giving them rock solid stability and excellent tracking. One really important feature for me is the temperature rating for this controller. During winter, I regularly fly my drone in the snowy Scottish mountains and I have found my flying time curtailed by the battery in my phone struggling with the cold temperatures. Swapping drone batteries is straightforward but re-charging your phone takes time. This new controller will operate as normal in temperatures as low as -20℃, which is fantastic. The DJI Go 4 App is mature now and on this controller, very stable. Without an internet connection, however, a little more thought will have to be given to the regular software updates that drones inevitably require. The new built-in screen record function is nice if you want to share your flying experience. The 2nd aspect, and probably the headline feature of this controller is the monitor. Let’s not get into comparisons of screen NIT’s from device to device and just say, this screen is bright. The brighter the screen the easier it is to clearly see when using it outside on a sunny day. It’s simple but really important as anyone who has been squinting to see their smartphone screen will attest. 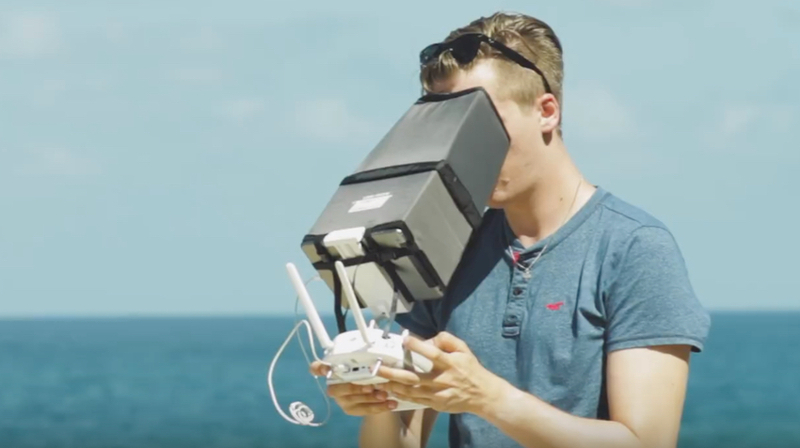 I personally will be delighted to finally dispense with my fold-out screen hood; they are awkward to use, make it more difficult to keep line of sight to the drone in the sky and they make you look rather ridiculous. Sun Hood no longer required! This is an expensive controller and it won’t improve the quality of your footage, so you will have to decide if all the benefits above are worth the extra investment over the controller included with your Mavic 2. DJI are now offering the new controller as an option with new Mavic 2 orders, reducing the overall cost. I am also curious to see if this controller will become a standard and fly the long-rumored Phantom 5 and possibly even Inspire 3 lines. DJI have again raised the bar with this solid, well-designed controller that drone users should really enjoy using.